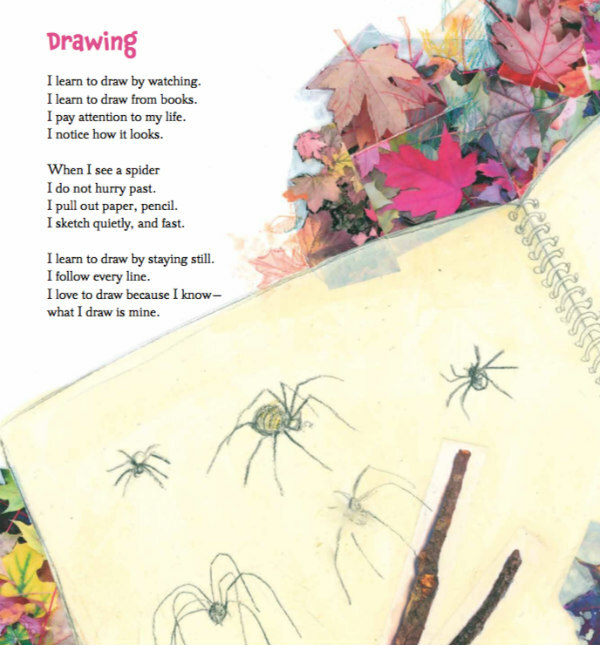 With My Hands: Poems About Making Things by Amy Ludwig VanDerwater with pictures by Lou Fancher and Steve Johnson is a marvelous book of poems about making things that is sure to inspire readers to to make a few things of their own! Beginning with a poem titled, "Maker," readers are taken on a first person creative caravan that embraces and celebrates the joys of creative expression, starting with these words, "I am a maker. / I am making / something new / with my hands / my head / my heart. / That's what makers do." With My Hands encompasses artistic creations as well as more STEM-related endeavors, as in the poem, "Parachute," where the maker cuts a, "parachute from plastic," and ties on a toy guy, throwing him from a window and watching him drift to earth while also playfully rhyming the words plastic, elastic, drastic and fantastic! 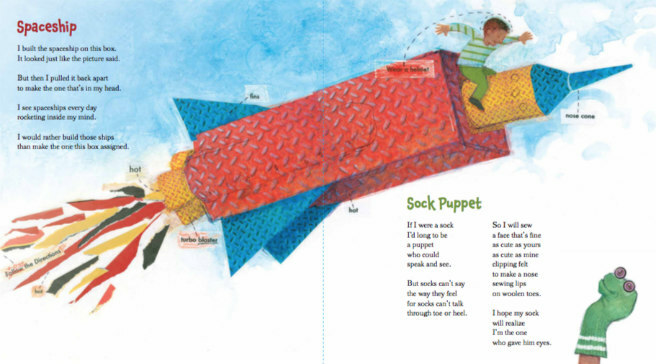 The poems, "Knot," and "Fort," also pay tribute to creative feats of engineering while the poem, "Mess," addresses the expected end results. 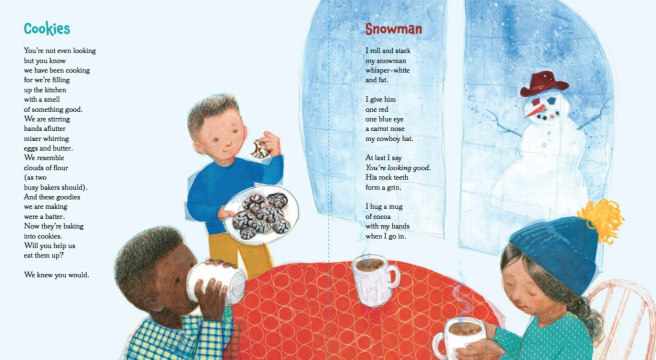 The poems of With My Hands are written in varying styles that seem to echo the creative act they are describing with tone, rhyme, pace and flow while Fancher and Johnson's collage-style illustrations bring the creations as well as the creative process itself, to life. It almost feels as though With My Hands is making itself as you read it! 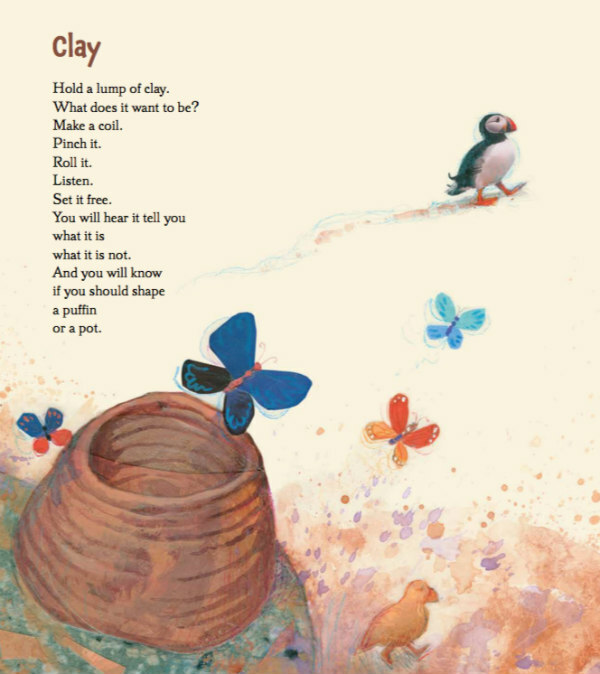 The book ends with the titular poem, "With My Hands," that begins with the words, "When I make something new / I am never the same," and ends with these wonderful words, "I brought a new something / to life with my hands. / If you are a maker / then you understand."